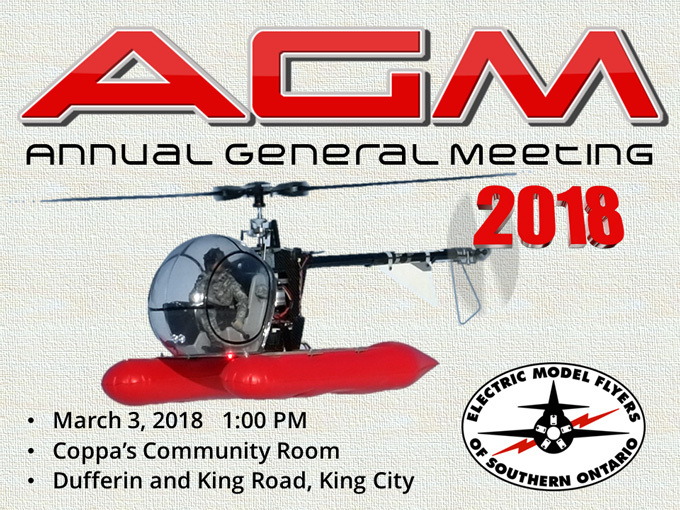 Members of Electric Model Flyers of Southern Ontario are invited to attend the Annual General Meeting. The AGM is an important opportunity to discuss club business. Nominations for Director are now open. Good time for the event, have enough time to scoot over to Great Hobbies and chase down the Bronco kit as well as the Spitfire.